What's Ahead for the Future of Online Gambling? Online gambling hit the UK scene in the 90’s, with the launch of Microgaming in 1996. 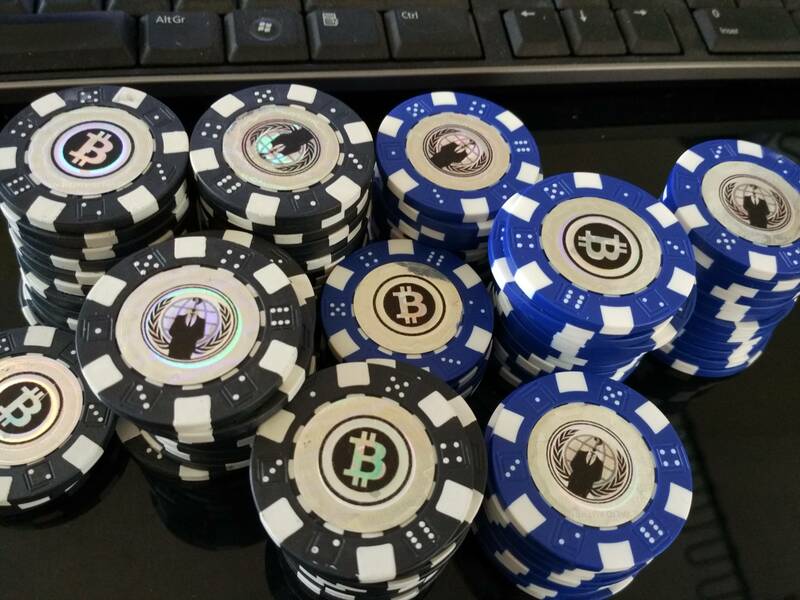 They were the first real company to make money from a basic online poker game but at this time it was not common to have personal access to a computer and there was certainly not one available in every household. When Microgaming launched, more and more developers began using the same simple outlines, creating their own rudimentary online games. From this point, these developers have gone from strength to strength and were able to improve their games to the high-quality graphics we enjoy today. To discover more about the developers, visit SlotsBaby. These providers have spent over a decade working on the image of online gambling, so it no longer comes with a stigma attached and public perception has changed thanks to the clever advertisement and focus on responsibility. The 2005 Gambling Act loosened restrictions on both online casinos and live casinos, particularly on advertising laws. In an era of austerity where many industries were struggling, and businesses were closing their doors, the online gambling industry in the UK flourished. The Gambling Commission has reported increases year after year within online slots alone pulling in £86 million from 2009-2010, £366 million in 2014, and continuing to rise every year. The increase in TV adverts advertising free spins and fun times has undoubtedly led to an increase in punters going online. The lure of free money to spend draws players to certain casinos where they end up spending money eventually. The fact that these online games offer low stakes, with opportunities to win huge progressive jackpots enhances the excitement and draw to these games, at a low risk to the player. We have a range of online Slots offering low stake bets. One of the most attractive elements in online gambling is in the name: online. Players don’t have to get dressed up, head out and spend money on food and drinks. Instead, they can sit in the comfort of their own homes, at any time of the day, on their own or with friends and not have the hassle of going to a physical casino. This is particularly useful for parents looking after children. Statistics have shown a rise in the number of female players in recent years and this is likely due to the ‘stay at home’ factor. Many women may feel uncomfortable in a casino environment that has traditionally and statistically been a more male-dominated environment. More women also are responsible for child care, working from home or in a housewife role, allowing them to enjoy gaming from home. As one of the most evolving and growing industries online, online gambling is arguably the most open to adopting new digital mediums. Therefore, it is not surprising that there have been predictions regarding the inclusion of augmented reality in the industry. 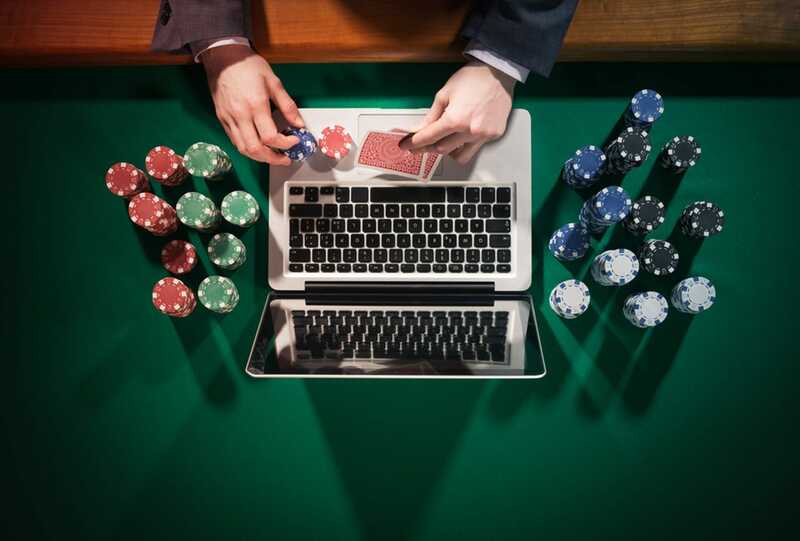 Competitors must stay ahead of the game in order to remain at the top, which has been evident since the emergence of online casinos and gambling in the ‘90s. But how possible is the use of augmented reality in this industry? Also, how soon could it be implemented? The idea of augmented reality stirs up a lot of excitement for the more experienced online gamblers, as it adds yet another layer of realism to the online, live experience. Instead of imagining yourself sat at a casino table playing poker, you could look straight across at the dealer and the other players around you. Realistically, augmented reality is still a long way off from being used in the online gambling industry but is a potential venture for many companies in the future. However, despite it being a long way off, this hasn’t stopped various gambling businesses from beginning to incorporate virtual reality software in their businesses. At a recent Casino exhibition, they demonstrated their integration of virtual reality technology, as a way of luring potential younger players. The companies promoted their platforms by using live roulette table feeds, VR Blackjack and other VR attractions. This advanced approach mainly used the Samsung Gear VR in order to immerse their players in a new and unique experience, which makes gambling infinitely more fun. As technology constantly changes and advances at a fast rate, the online casino and gambling business mirrors it. In the last few years, mobile phone platforms for online gaming have become infinitely more advanced. Don’t believe it? Check out our games online and on your mobile. Mobile gaming has actually surpassed console and PC gaming in recent statistics, both in use and in revenues. It’s not surprising when you consider the fact that mobile phones are not only smaller and more portable than PCs. However, with the evolving world of online gambling using technology, there also has to be up to date regulations and legislation. Their aim is to keep both the players and the companies safe financially, as well as attempting to tackle problem gambling. Therefore, as regulatory bodies produce newer and essentially stricter rules, companies must adhere to them and find ways to be more innovative. The usual slot machine does not typically need to dazzle as many are often focused on the game that they travelled for in order to play. For the majority, a person simply chooses their stake, tells the machine when to spin and relies on luck. So, if you’re going to be playing them, make sure you bring your four-leaf clover. These have been shifted into the online gambling industry, where slots are some of the most popular games for people to play online, and on their mobiles. Their transition online has allowed for an upgrade, wherein developers have been able to make them so much more. The high resolution and quality of graphics have allowed the games to be brighter as well as easier to understand. Some may also argue that this is what has caused the massive boom in the online gambling industry, as the online version of every day, well-loved casino and slot machines simply look better and more enticing online. Will Online Gambling Be The Future Of The UK's Industry? It seems likely that in the booming industry of online gambling, more and more customers will head online, especially with the recent government policies which may come into play, reducing the in-store slot machine stakes from a maximum of £100 down to just £2. This move may see many betting shops close their doors and it seems inevitable that punters will be forced online. The UK is considered one of the safest and best regulated to gamble, and with such a large gambling industry, it isn’t hard to imagine that in the years to come, online gambling will dominate nationwide. Especially when you consider the statistic that nearly 50% of people in the UK had gambled recently, with a majority of this being online. However, recent headlines are promoting transparency for players so whilst online gambling may well be the future for Britain, it will not be without its’ changes. Many argue that the terms and conditions of a site should be clearer in relation to adverts and promotional materials for online gambling sites. This would make the industry more open to the player, especially if they can see how much they have lost, and may boost traffic to the business. Does Online Gambling Have A Place Worldwide? Unlike the UK, the majority of countries globally have stricter regulations regarding gambling, and in particular the online industry. Take Germany, for example, a country with a love hate relationship with gambling. The complication of online gambling lies in its legislation which states that whilst it is illegal to host a casino online in Germany, the laws on placing bets online are actually unclear. Therefore, we cannot expect online gambling to take off massively within Germany. Much like the UK, Ireland also has a large online gambling industry, which they are aiming to regulate using a model similar to Britain’s. This would also give Irish residents a safe and responsible means of gambling online. Countries like Italy, the Netherlands and Sweden are, however, lagging behind in this industry in a sense that they have all discussed opening the gambling market up in their respective countries, but nothing massive has happened yet. Therefore, bets shouldn’t be placed on online gambling becoming a major chunk of any of these countries industries. Here at Slots Baby, we look forward to whatever the future of gambling brings, and we hope you will be there with us along the way.